New American Library, 2015. 409 pgs. Fiction. Emmy’s dream of becoming a wedding dress designer seems to be close to coming true. Although she is only fifteen years old, she has earned a job as a seamstress at a dress shop owned by the sister of a renowned designer. It’s the perfect opportunity to rise above her mother’s sordid past and to make a better life for herself and her little sister Julia. But then the Blitz begins. As German planes near, Emmy and Julia reluctantly leave London and their mother behind for the Cotswolds. There they find safety and love, but Emmy’s ambition leaves her restless. When a once in a lifetime opportunity presents itself, she sneaks back to London, unknowingly risking the lives of those she loves best. 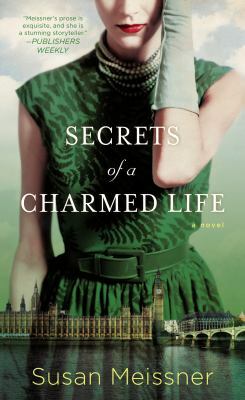 I really enjoyed Secrets of a Charmed Life. Emmy, Julia, their mother, and the supporting characters were fascinating and fully fleshed out, and the story drew me in completely. As a reader, I experienced Emmy’s ambition, her terror, and especially her guilt intensely. My only complaint is that the ending fell a little flat. After barreling along for hundreds of pages, frantic to know what became of Julia, I was disappointed by how quickly Meissner wrapped up that story line. Overall, though, this may be one of my favorite reads of the year. I agree that this is one of my favorite books from 2015. I listened to the audio version of this novel and really enjoyed the reader's accent. I was fully immersed in the story and couldn't wait to see how it all ended. The second half of the book did not have the power as the first, but I still enjoyed it. There was a point where I wanted to get my hands on an physical copy because I wanted to skip to the end and see if it had a happy ending.